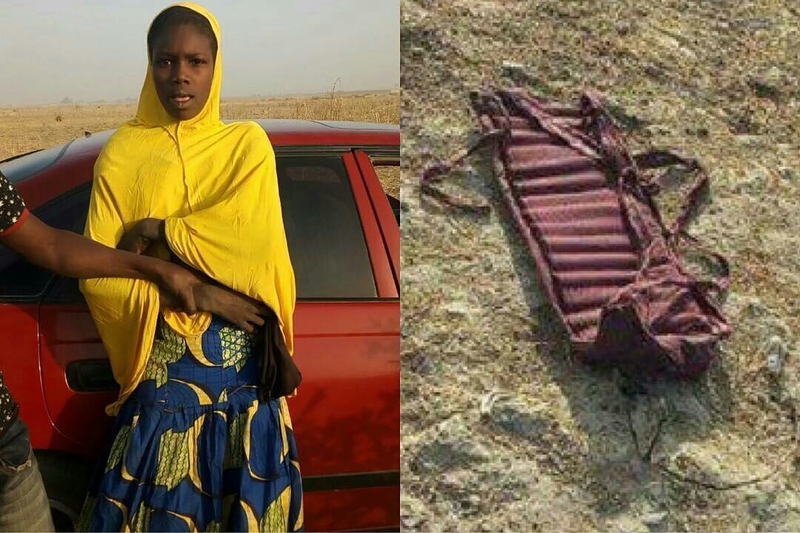 An 18-year-old Boko Haram suicide bomber, Amina, who was intercepted by men of Nigeria Security and Civil Defence Corps, NSCDC, on Tuesday in Maiduguri, said she was given N200 for the mission. .
She told the News Agency of Nigeria in Maiduguri that she was abducted two years ago by the sect members in Madagali, Adamawa, and taken to Sambisa forest. "They gave us N200 each which they said we should use to buy food for ourselves. It took us three days to come to Maiduguri on a motorcycle. We were directed by the sect members to detonate our explosives any where we saw any form of gathering. . They said if we press the button, the bomb would explode and we will automatically go to heaven. I was scared, so, I told them that I could not detonate any explosive. So, they said if Zainab detonated her own, it would serve the purpose. On our way to Maiduguri, we encountered the military and they were shooting. I was very scared and the people that brought us ran away," Amina said. .
She said that her father, mother and younger brother, Umar, were all killed when they tried to escape from the Boko Haram enclave where they were held hostage. .
"We came from Gobarawa along Damboa, Madagali and Algarno axis, in a community where a lot of us were held hostage and married off by the sect members. I also am married to a Boko Haram Commander known as "Amir," she added. At about 6.45 a.m, today, personnel of the NSCDC had intercepted two female suicide bombers, who tried to ram into motorists at the NNPC Mega Station along Damboa Road, Maiduguri. .
One of the bombers got scared and threw away her bomb and was instantly arrested, while the other one began to run after people with her explosive but, luckily, she was shot.